Walking is the most natural movement. Unfortunately, nowadays most people walk in a wrong way, which can cause serious health problems. Yet there is a solution – the biomechanical footwear being developed by the Boty J HANÁK R, Ltd. Company and the team of Assoc. Prof. Martin Zvonař from the Faculty of Sport Studies of MU. What problems can walking bring around and what are their consequences? When we are walking bare-footed everything is in order – from an anthropological point of view. It supports the natural growth of healthy transverse and longitudinal arches. However, most shoes on the market do not respect the plantar morphology. “Transverse arch is held by the shoe’s vamp which creates undesirable pressure resulting in flat foot. The heel starts tilting outwards and the whole process can lead to valgoid knees or ankles. The second problematic spot is the first digit of the big toe which has a strong influence on foot posture. Improper footwear can’t provide for an optimal and rigid lever of the big toe and negatively influences arches of the foot. The foot is just too immobilized which can show even in thigh muscles,” explains the founder of the company Josef Hanák. The meeting which took place thanks to the director of the Boskovice hospital stood at the beginning of the new biomechanical footwear and insoles. Besides the aforementioned approach to a fallen arch which is thus given an opportunity to gradually grow back, the biomechanical footwear has another innovative feature. “It’s the springs which enable the arch to move. From a physical point of view it’s a simple principle: The impulse of force is shifted forwards, which increases leverage and alters the walk biomechanically. Body reacts to it by strengthening the ligaments which need it the most. It is those ligaments which are most important for a healthy arch,” adds Mr. Zvonař. 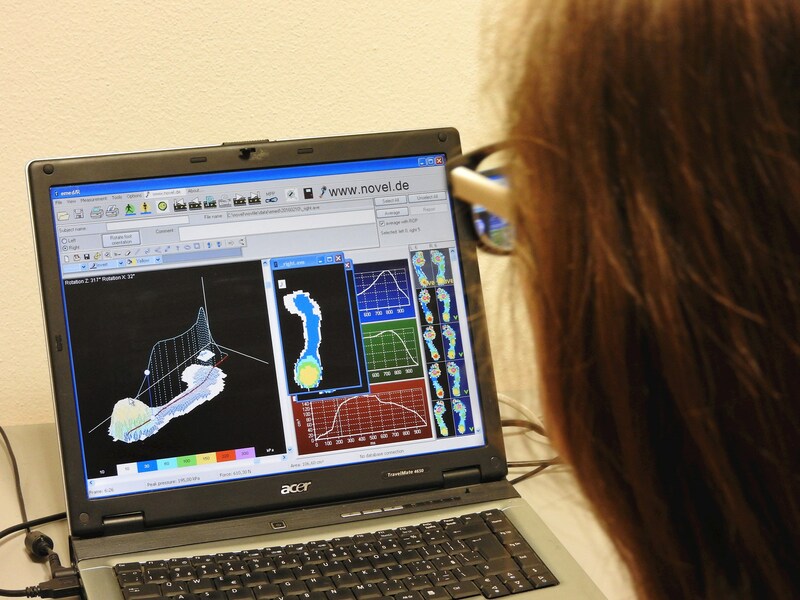 After the design of the new biomechanical insole was finished, the main role of the experts from the FSpS labs was to measure it and prove that it really does have the anticipated effect. Mr. Martin Zvonař says: “For a long time we were pondering on how to set up the conditions of the experiments to provide a reliable proof that it really works. We did so with the aid of special devices which measure the pressures exerted on the lower part of feet when walking. 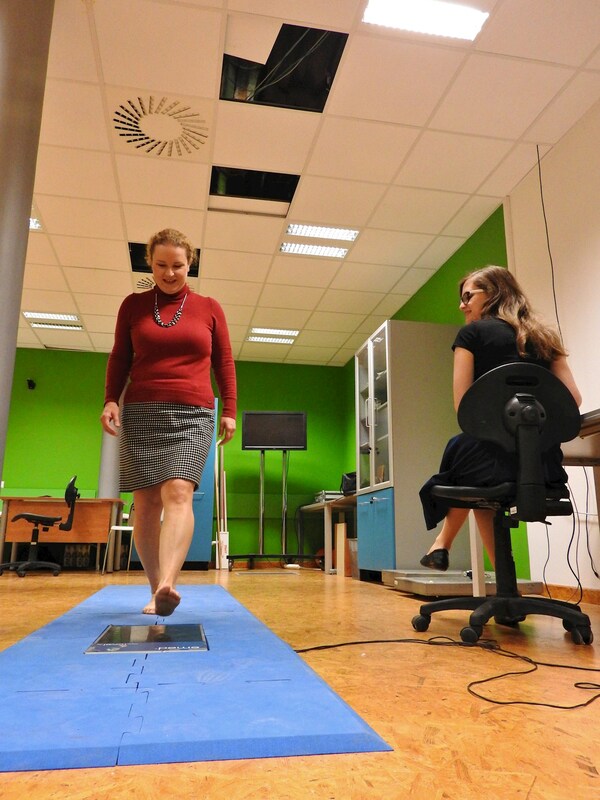 The best of these devices can be inserted directly in the shoe and their sensors can evaluate not only the behaviour of the foot arch but also the suitability of the footwear.” The results have unambiguously proven that the new insoles and shoes really do help. However, they have to be used on a long-term basis. Nonetheless, the cooperation of Josef Hanák’s company and the team of Assoc. Prof. Martin Zvonař will certainly carry on. New types of shoes for general public are being developed and a study of movement of pregnant women who often have problems with their arches is also being elaborated. The TTO MU team actively participates in the cooperation and facilitates it e.g. by providing legal support (the biomechanical footwear is patent-protected) or promotion.